As every year, the European Heritage Congress provided delegates with a most interesting and breathtaking cultural programme, with visits and excursions to landmarks of the host country. This year in Turku, Finland, the visits focused on maritime heritage, discovering Turku Archipelago, traditional wooden villages, and Finnish modernist architecture. While Europa Nostra’s internal meeting of the Council was taking place on Friday 12 May in the morning, around 65 Congress delegates explored Finnish Art and Villas in Turku and Ruissalo Island. 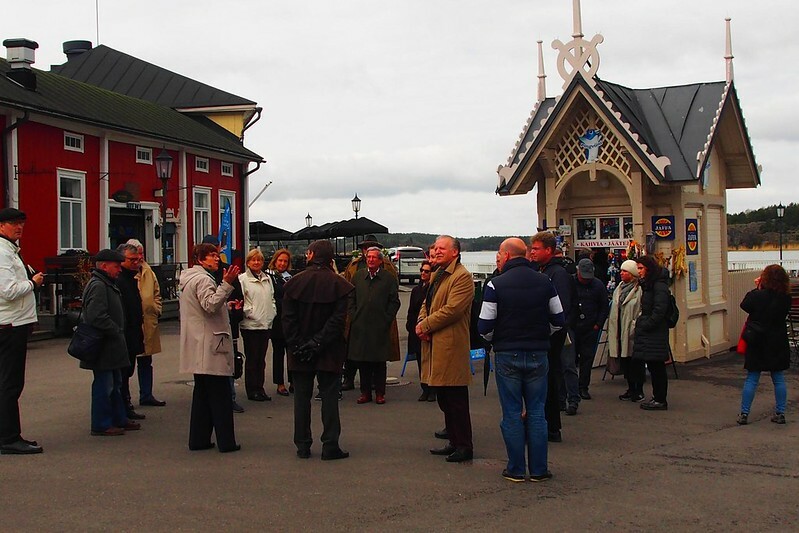 For the first part of the visit, participants went to Ruissalo Island, a popular leisure area since the beginning of the 20th century which also attracted distinguished guests in the 19th century for its noteworthy Nordic villas. Today, there are still around 200 villas, many of which have been repurposed and open to the public. 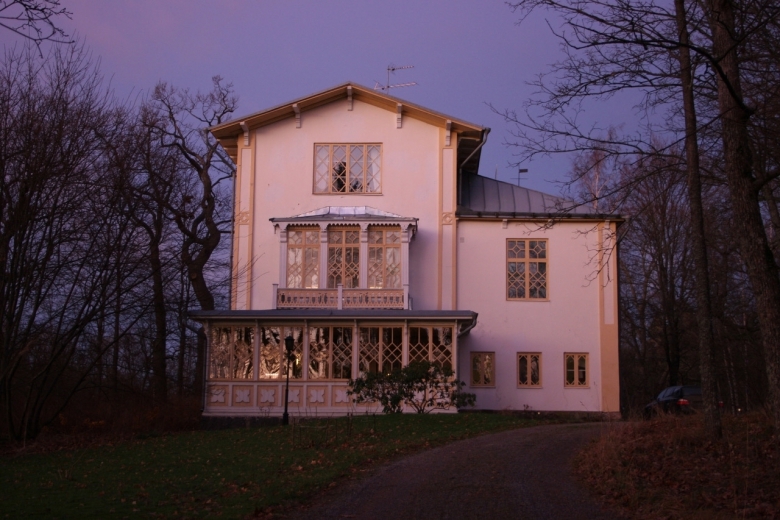 After visiting the Villa Jalava and the Villa Marjaniemi (built in 1850 by the Rettig family), the famous Finnish painter Kaj Stenvall gave a tour of his family home, the Villa Roma designed by Georg Theodor Chiewitz in 1851, which was first used as a summer residence for Turku’s cultural icon Nils Henrik Pinello before being famous in the 20th century for its produce of corn, flowers and strawberries. He explained how the harsh climate can be challenging for the Villa’s maintenance. The second part of the visit included a guided tour of the National Romantic granite building of the Turku Art Museum, designed by Professor Gustaf Nyström in 1904. The comprehensive permanent collection of the museum comprises some 7,000 works from classical to contemporary art. Lastly, participants joined a special guided visit of the most extensive photo exhibition of Elina Brotherus. This Finnish photographer is internationally renowned for her work focusing on the relation between humans and nature. 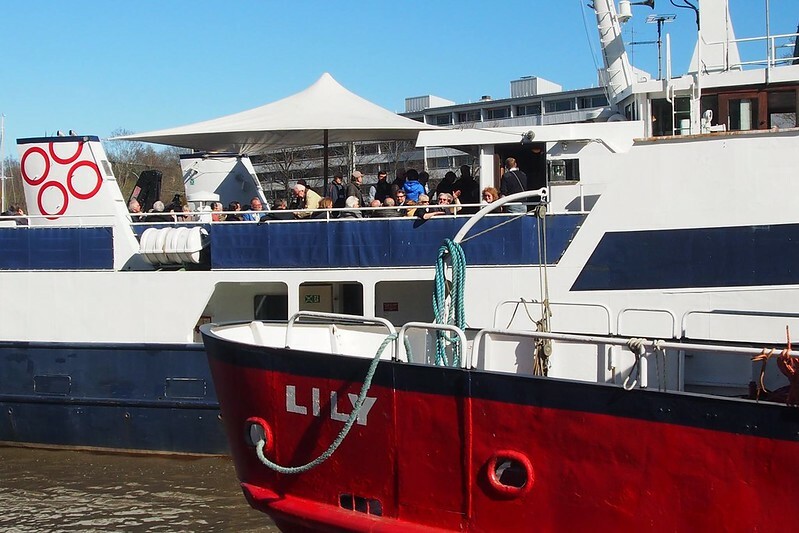 To conclude the full-day Forum on “Sharing Heritage – Citizens Participating in Decision-Making” organised by Europa Nostra Finland and the University of Turku, an outstanding boat cruise to Seili Island in Turku Archipelago was organised. In the enchanting Finnish light, Congress delegates cruised for two hours before arriving on Seili Island for a guided tour. The charming and peaceful island hides a much darker past as it used to host a leper hospital, later replaced by a mental asylum until 1962. Participants also visited Seili museum wooden church built in 1733 and its graveyard. Since 1964, Seili Island has been home to the Archipelago Research Institute. During the two hour-long return trip, a traditional creamy salmon soup with rye bread was served in a networking friendly atmosphere. Before the Grand Finale of the European Heritage Congress on Monday 15 May and while European experts were flying to the 7 Most Endangered site of Helsinki-Malmi Airport, participants had the chance to choose between two cultural excursions, each focusing on a different significant period in the history of Finnish architecture. Those who chose the first option went on a tour highlighting medieval heritage in two of the first wooden Old Towns in Finland: Rauma and Naantali. They were offered a guided walk through the historic centre of each town, featuring well-preserved and architecturally unified wooden buildings. Rauma is of particular importance as it was the first Finnish UNESCO World Heritage Site and the admirable restoration of its Old Town received a Europa Nostra Medal in 1987. There, delegates discovered buildings dating back to the 17th century such as the yellow City Hall or the busy Market Square. They also found out about the 600 colourful privately owned wooden buildings and how they have been technically updated and modernised. Then, they explored the quieter Old Town of Naantali, known for being a lively spa town since the 19th century. 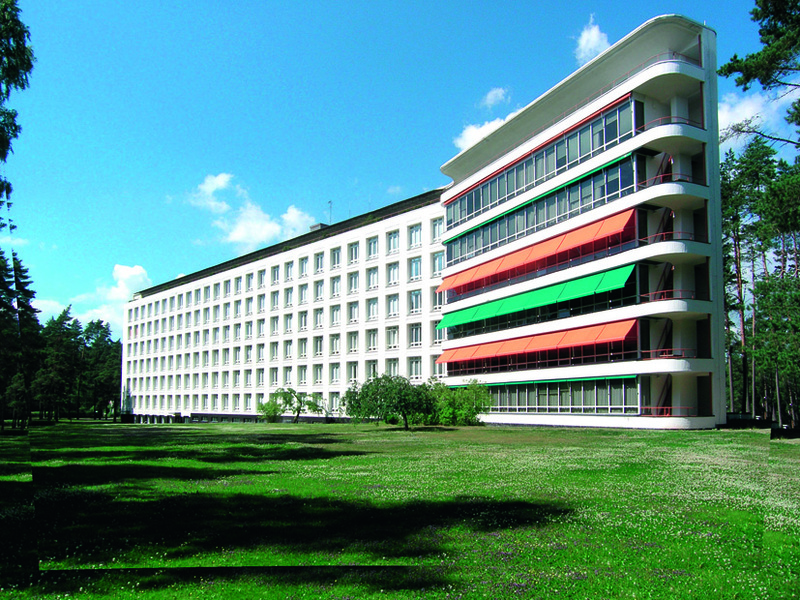 The second option brought participants to symbolic buildings of Finnish modernism by world-renowned artists in Turku and Paimio. The excursion started in Turku with the visit of the Resurrection Chapel (designed by Erik Bryggman in 1938-1941) and the Chapel of the Holy Cross with its concrete architecture (designed by Pekka Pitkänen in 1963-1967). The highlight was the visit of Paimio Sanatorium designed between 1929 and 1933 by the most influential Finnish architect Alvar Aalto. In the middle of a “healthy” pine forest, participants witnessed the building’s adaptive design to the needs of the patients and the staff. For a perfect harmony, Aalto and his wife also designed the interior furniture. Before returning to Turku, a last stop took participants to the Tuorla Manor, a 19th century neoclassical manor complex, which was renovated by Erik Bryggman.